As we are now in the midst of winter I thought it would kick of the grooming section with moisturisers. It’s taken me years to find the right products and I wanted to share them with you guys. I am always looking for a natural product that is multi functional and not greasy. Also as it is winter I have included a couple of balms that will help with the chapped lips and skin that us runners and cyclists suffer with. I love everything that the Bamford family do from the amazing Daylesford organic, Bamford Watches and now the grooming range. This moisturiser keeps your skin hydrated and protected against the modern climate and also smells divine. You can feel that no expense has been spared in creating a brilliant product from the beautiful packaging to the moisturiser itself. Dr Jackson’s is my newest find. I love the fact its British and has been carefully crafted using natural ingredients that heal and protect your skin. The 05 Skin Cream, their signature product, is a cream full of powerful ingredients that revitalize and tighten the skin. Its also a great eye cream to tighten round your eyes. Key Ingredients -Kigelia, Baobab, Marula oil, Aloe, Rose Water and Roman Chamomile. This is my daily moisturiser. I keep in my gym bag as I just find it both invigorating and functional. It is one of the best vitamin-enriched and non-oily moisturisers for the skin while also helping to control shine. They also do a spa version which is great. Key Ingredients - Chestnut Extract and Caffeine. I have been using this product for well over ten years and I find it is a great product for the winter months as it’s very hydrating and packed with extracts to help with problem skin. If you’re active and like to run or cycle it is the perfect partner. I like to put it on as an evening moisturiser so it revitalises and soothes your skin as you sleep. Egyptian Magic All Purpose Skin Cream is an all-natural skin and hair balm made from six of nature's most powerful moisturising and healing ingredients. For more than 20 years Egyptian Magic has been blending these ingredients using a unique, proprietary process based on a formula that was created thousands of years ago in the land of the Pharaohs. I was first bought this by my mum a while back and I have to say its a really good basic, natural product that has multiple uses. Its perfect for the winter and can be used all over from you face, lips to also dry patches or sore spots from chafing if you run a lot or cycle. I have also been on a few shoots where they will use it as a grooming tool to add highlights on your eyes or cheeks. For me this is something everyone should have as it provides so many different uses. Key Ingredients -Olive Oil, Beeswax, Honey, Bee Pollen, Royal Jelly, Propolis Extract. 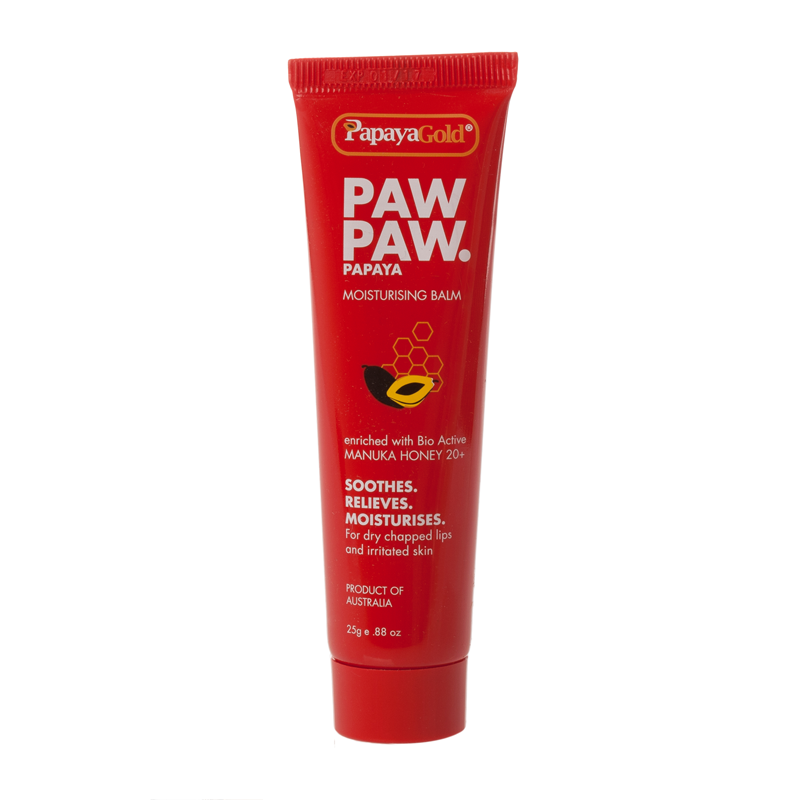 PapayaGold Paw Paw Moisturising Balm is the best lip balm I have ever used and having spent 18 years in the fashion business I have used a fair few. It just seems to do the job and unlike others you don't need to be putting it on every half hour. My whole family uses it, in fact they steal it from me…… but that just shows how good it is!!!! Key Ingredients - Papaya, Beeswax and Manuka Honey 20+.